H x W: 32 in. / 23 in. Commodore Guest served from the late 1830s through the Civil War. As a Lieutenant, he served with Commodore Robert Stockton in the conquest of California during the Mexican-American War (1846 – 1848). He also served on the frigate Congress during the Mexican-American War and later protected foreign residents from Chinese Imperial forces at Shanghai in April 1854. 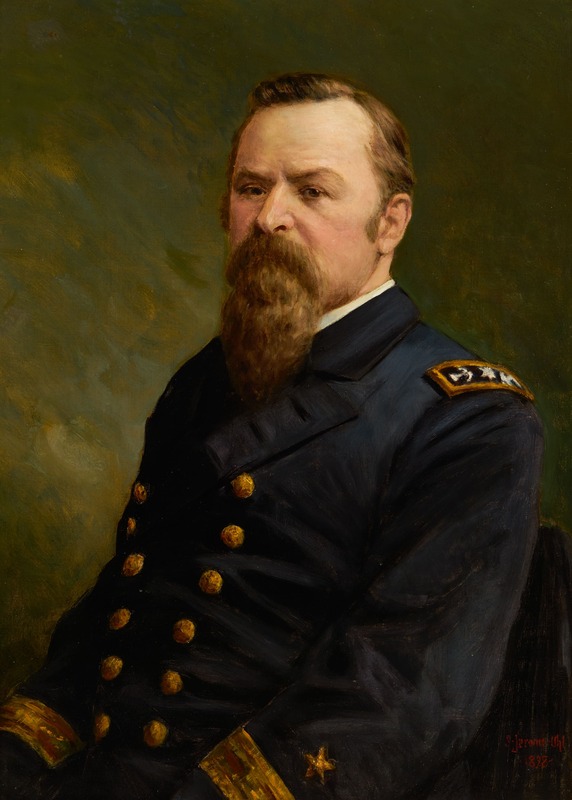 During the Civil War, he commanded Owasco and Sangamon, assisted the capture of New Orleans, and engaged Confederate batteries during the Siege of Vicksburg (1863). Later he assisted in the capture of forts at Galveston, Texas, and Fort Fisher, North Carolina. The Destroyer USS Guest (DD-472) was named in his honor.